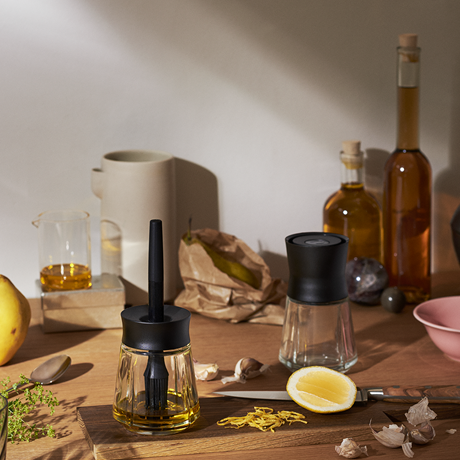 The stylish, versatile Grand Cru marinade jar with brush by Rosendahl is perfect for mixing and storing delicious marinades. 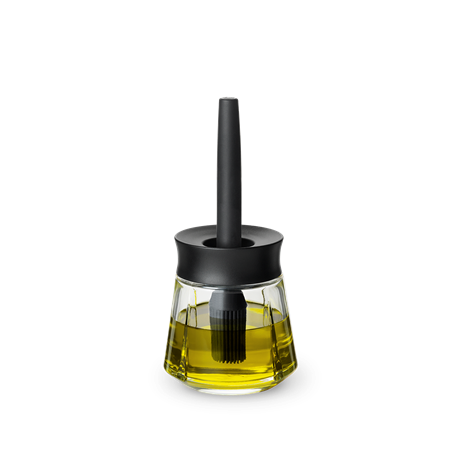 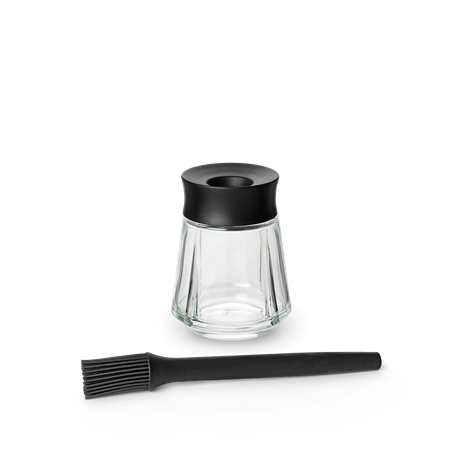 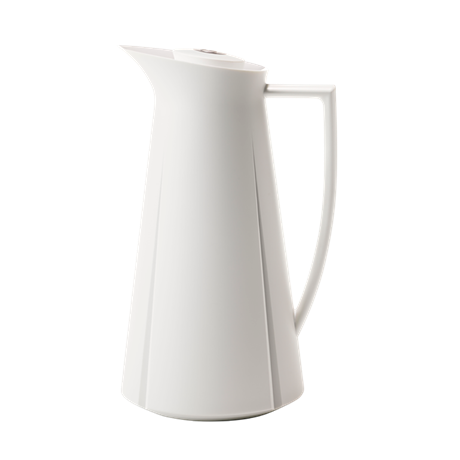 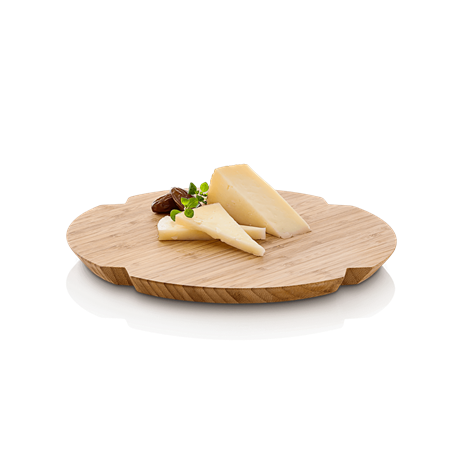 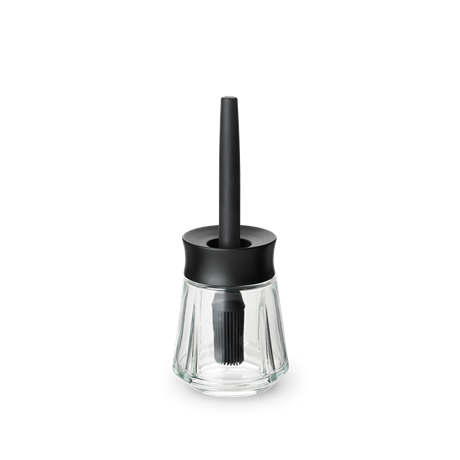 The marinade jar measures 20 cm x 7.5 cm and consists of a glass container with classic cut-out Grand Cru grooves and a smart plastic lid. 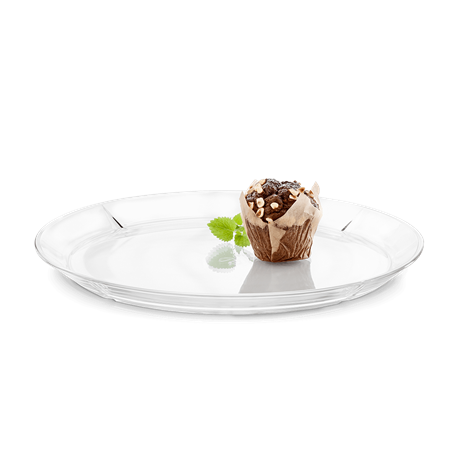 The lid seals tightly, so you can store your leftovers in the fridge without having to switch containers. 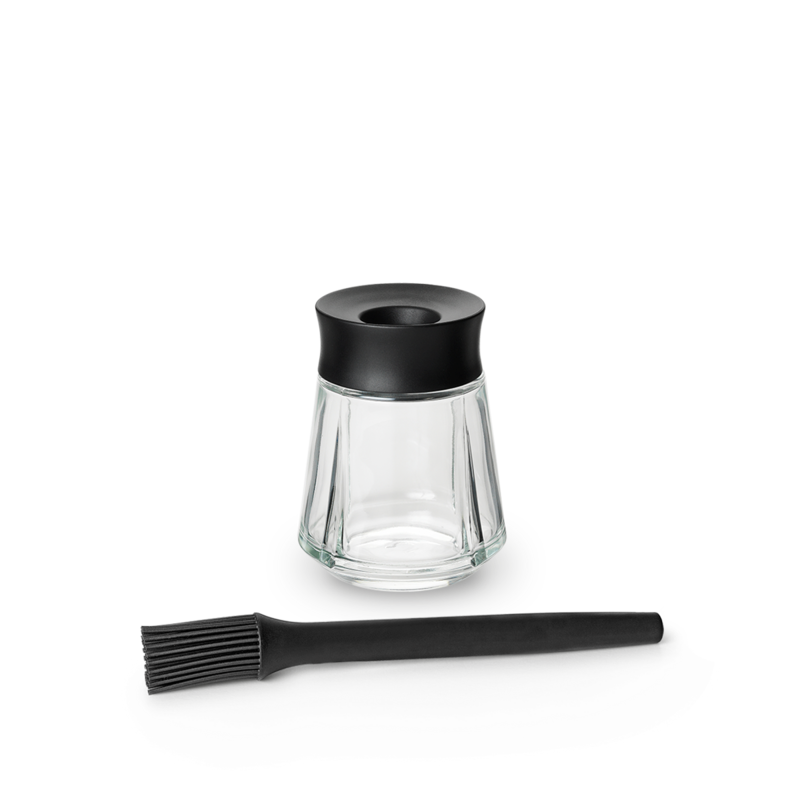 The special thing about the Grand Cru marinade jar is that you can dip the accompanying silicone brush in the marinade through the clever, flexible opening in the lid. 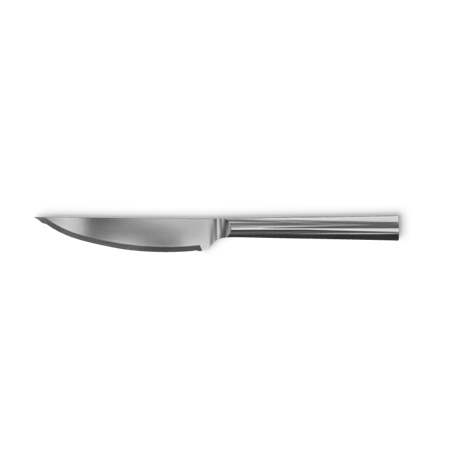 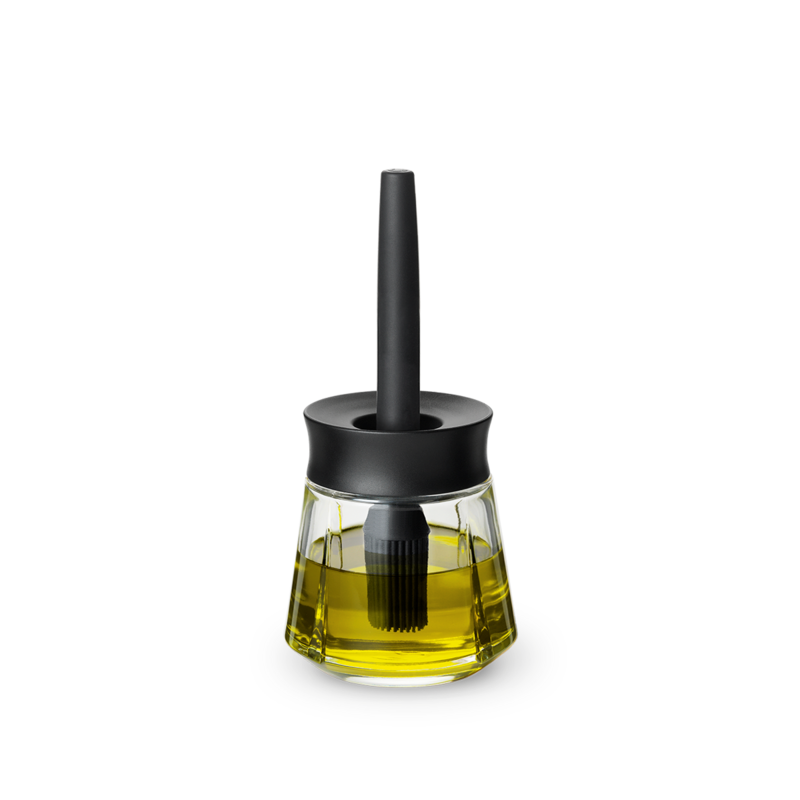 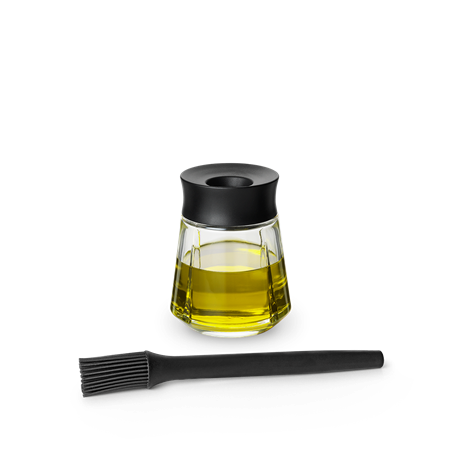 The brush is made of soft-touch silicone for perfect application of the marinade.